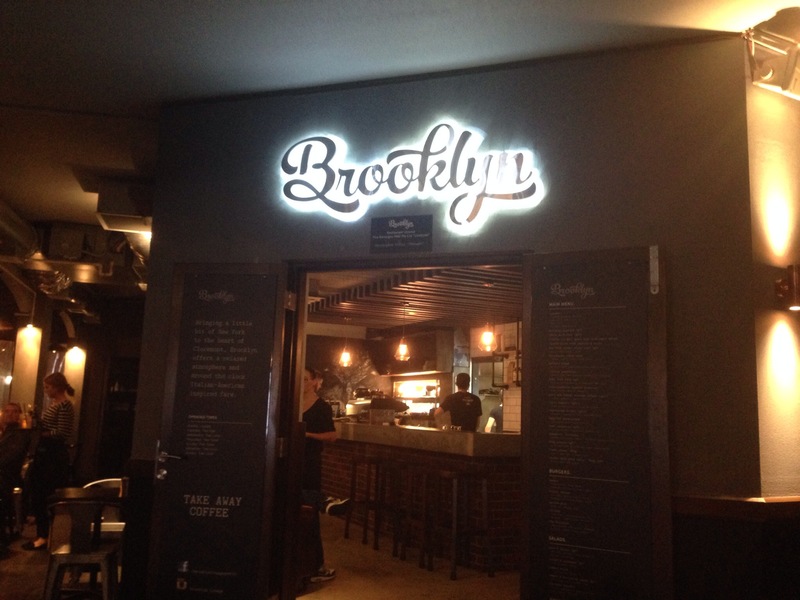 On St Quentins Avenue where Madrid used to be you’ll find the Brooklyn lounge, the newest bar and restaurant in Claremont. They boast a very American menu, and a clientele of bearded, baseball capped hipsters that make you feel like you very well could be in a bar in Brooklyn. The music they were playing was very eclectic, a mix of old school hip hop, modern pop and some bar classics. The service was initially prompt and they were able to accommodate our request for a seat with a back despite being fairly busy. Out first drink to arrive was the Mos Def, it was supposed to be served with bacon but they had unfortunately sold out earlier in the day and hadn’t let us know when we ordered. 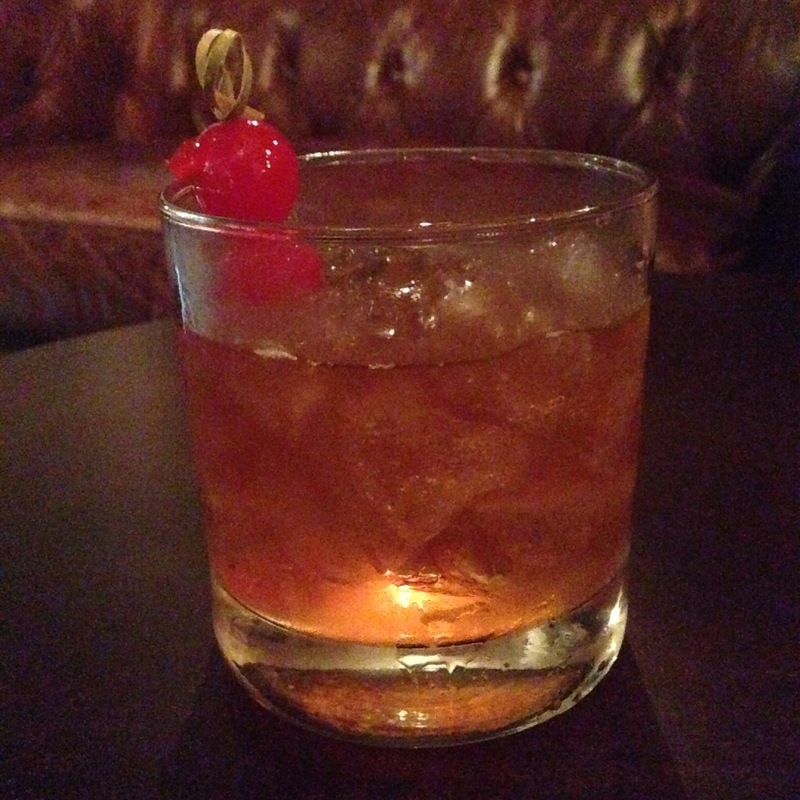 It’s basically an old fashioned served with maple infused bacon, but without the bacon it was unrecognisable from any other. 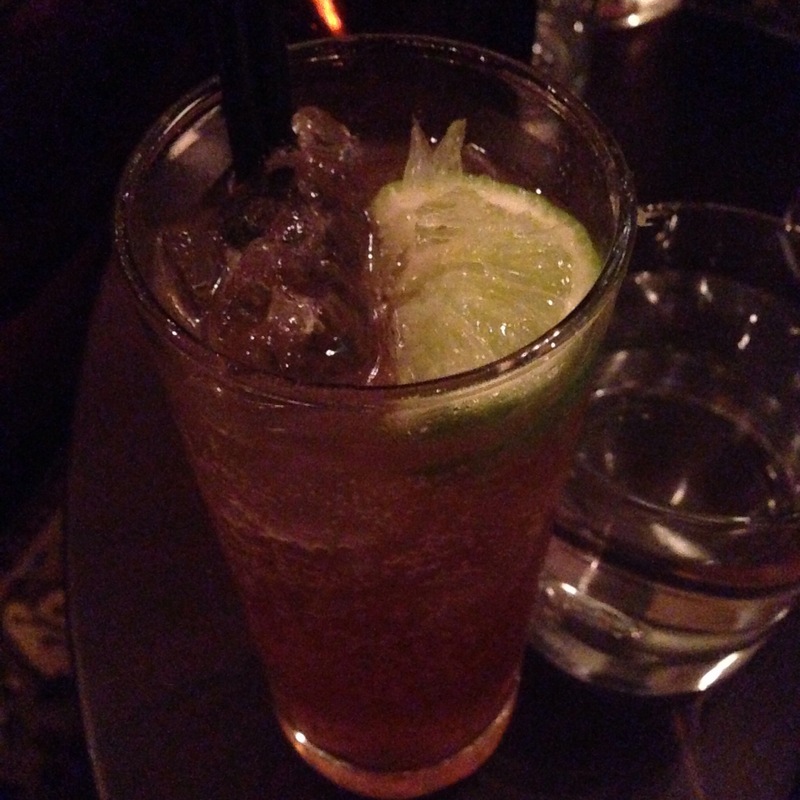 A good cocktail nonetheless. They forgot to bring our lemon lime and bitters along with it, but when they were alerted to it they fetched it promptly and in a vaguely apologetic way. It’s just one of those teething problems you expect when you visit a bar on the first Saturday night it’s open so it didn’t really faze us. We shared a cheese corn entree. This was messy to eat, with creamy cheese getting all over our fingers but damn it was tasty! 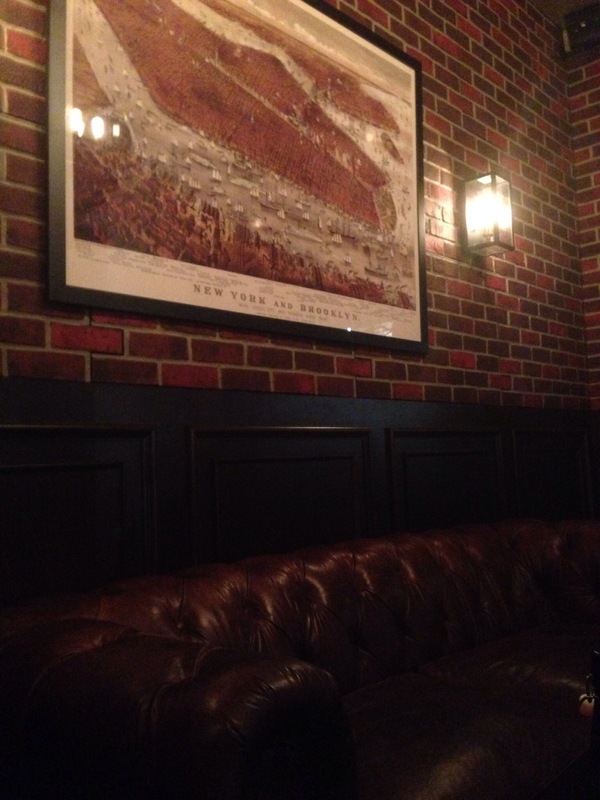 We thought it was appropriate to go for their namesake burger, the Brooklyn. 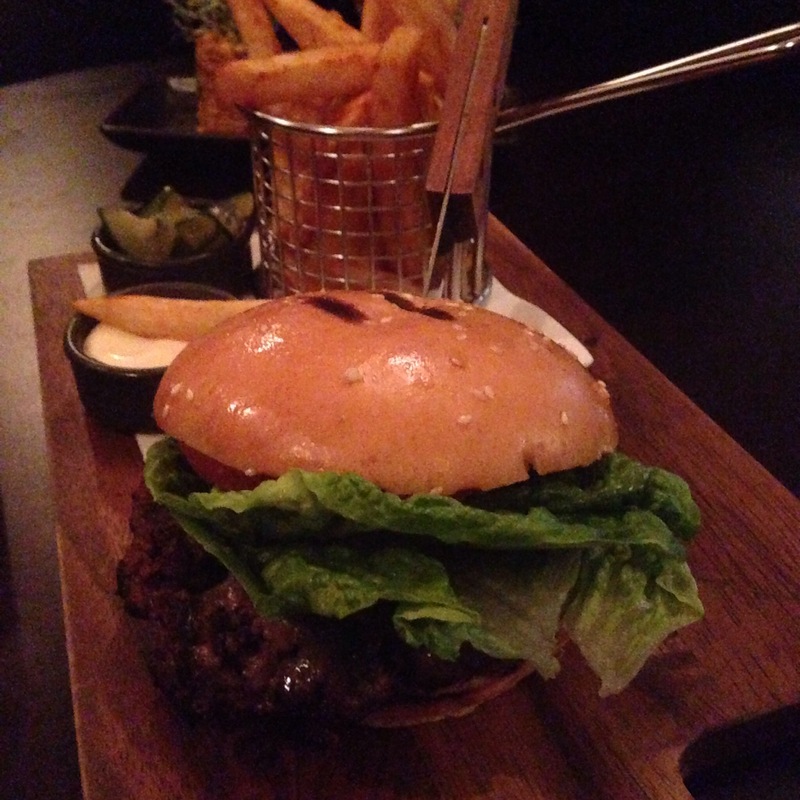 This wagyu beef burger had cheese, aioli and salad and was served with pickles and more aioli for your chips. The chips were crunchy and really well seasoned, perfect with the aioli. The burger was meaty and juicy, it was all falling out of the bun but we really didn’t mind. We liked that we were able to add the pickle ourselves, and it just added that crunch and tang you want. We could have Americanized by adding bacon and BBQ sauce for an extra $3 on top of the $21 for the burger, but we were quite happy to eat it as is this time. 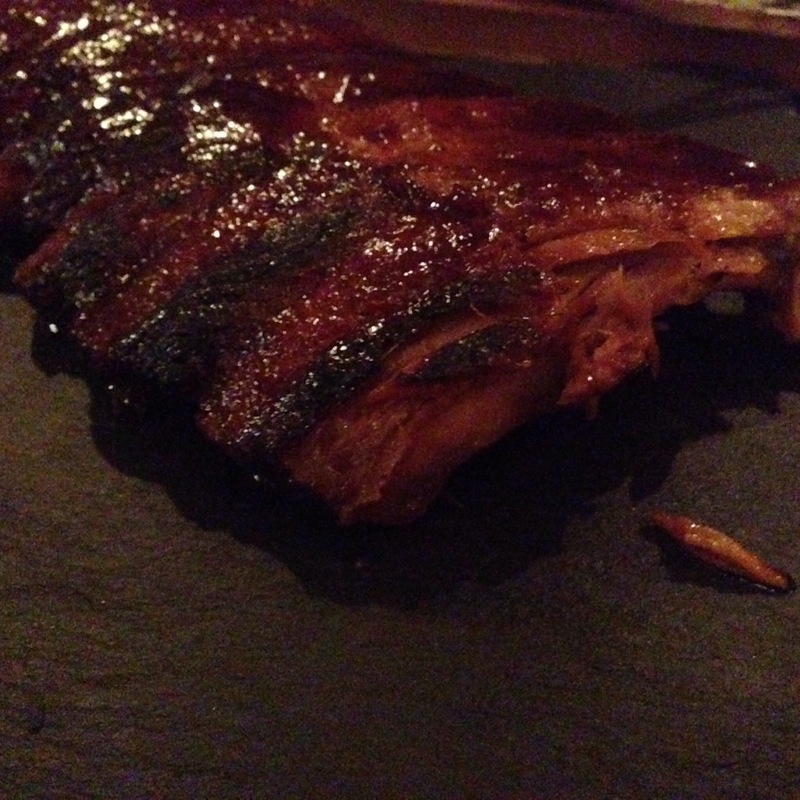 Continuing with our meaty theme we tried a half rack of ribs in a BBQ sauce. The ribs were tender and fell off the bone and had been really well marinated with a nice peppery flavour. This too was served with a side of pickle though it was a little superfluous with the ribs. This was a messy meal, but one of those ones where you find ourself licking your fingers for that last little bit of sauce. For $18 we were pretty happy with the value. 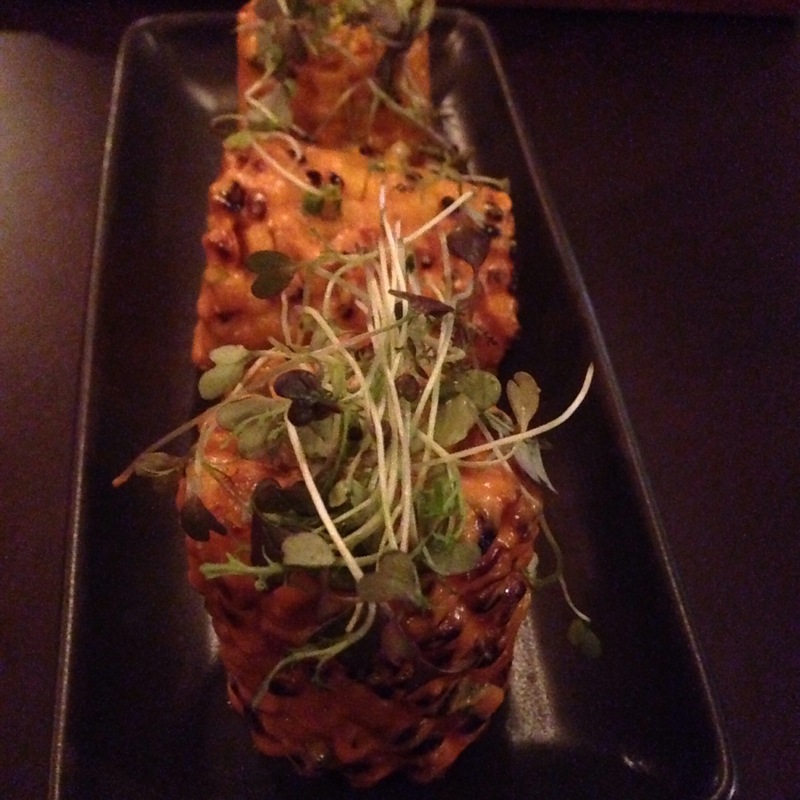 Throughout the meal and after we found the service to be quite inattentive and despite wanting and asking for the dessert menu it took a very long time to get it and from there to place our orders. It’s another one of those teething problems and also symptomatic of a bar/restaurant hybrid that the Brooklyn Lounge is really aiming for. When we eventually placed our order the waitress came back to let us know that the S’Mores dessert we had ordered was sold out and we had to make another selection. 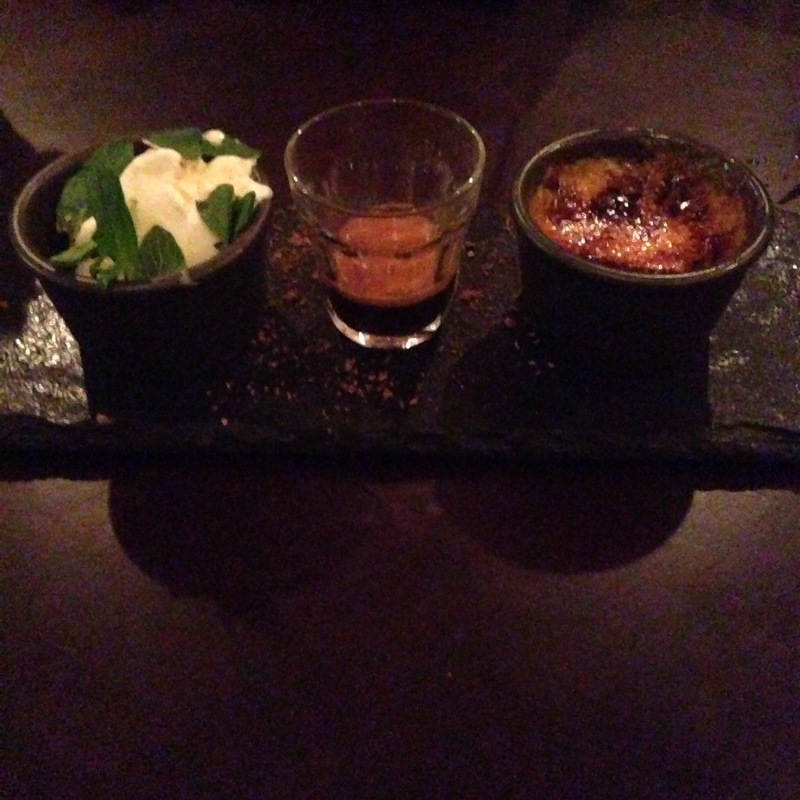 Our substitute, the creme brûlée with an affogato you combined yourself was a satisfying choice. 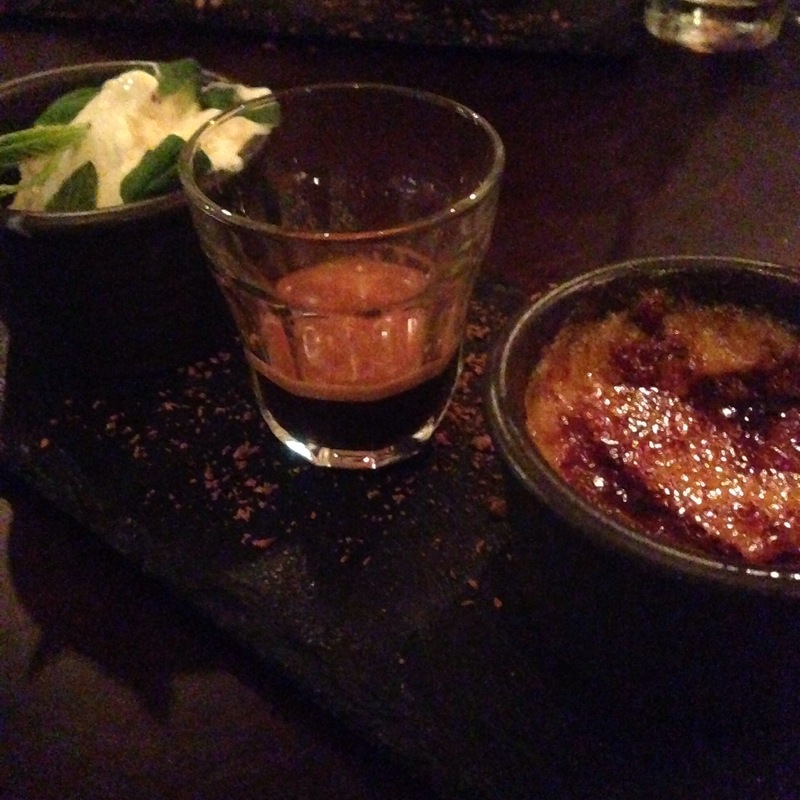 The creme brûlée was nice and creamy with the crack to the top and we even experimented with trying the ice cream, coffee and creme brûlée together. 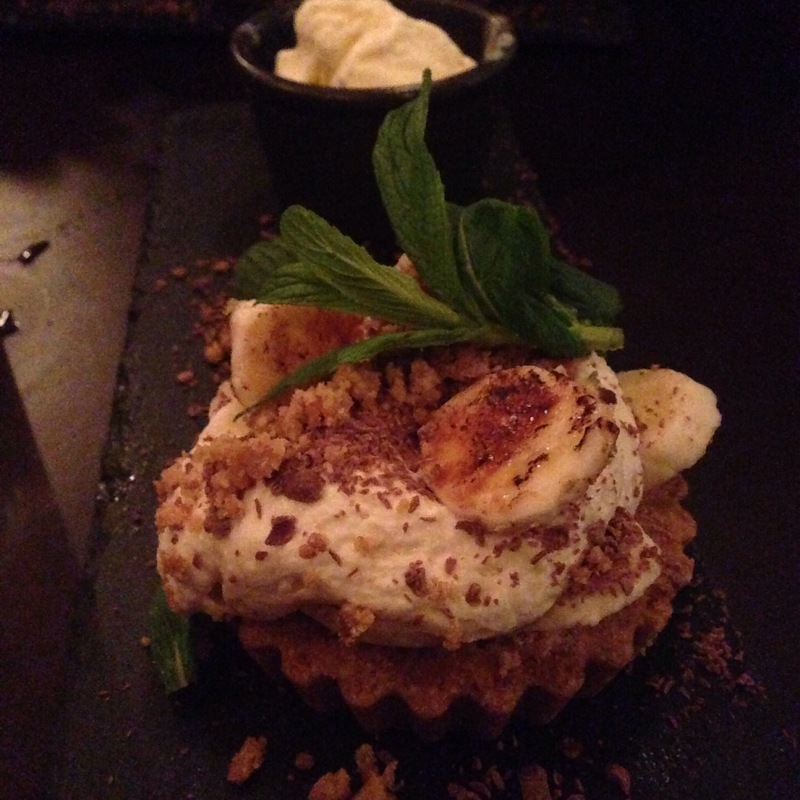 The real winner of the desserts though was the banoffe pie. It was loaded with cream and banana and though the base was hard to break into it was absolutely delicious. It was served with ice cream but we didn’t really need it, the pie by itself was sufficient. We would have liked a little more toffee, but really enjoyed the dish nonetheless. 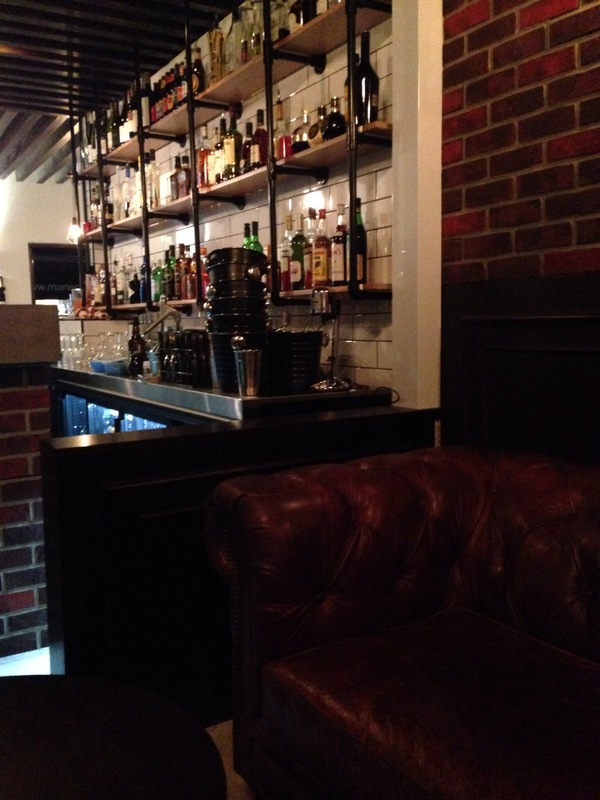 The Brooklyn Lounge is an exciting new bar and eatery, that shows a lot of potential despite a few issues. We look forward to checking out their Hot Dogs and Hip Hop one Wednesday night!